Quite right Ted Massey, another one that has been booted, the writing on the sides looks faded (not clear or crisp) on the boots, like it's been stored in the damp. 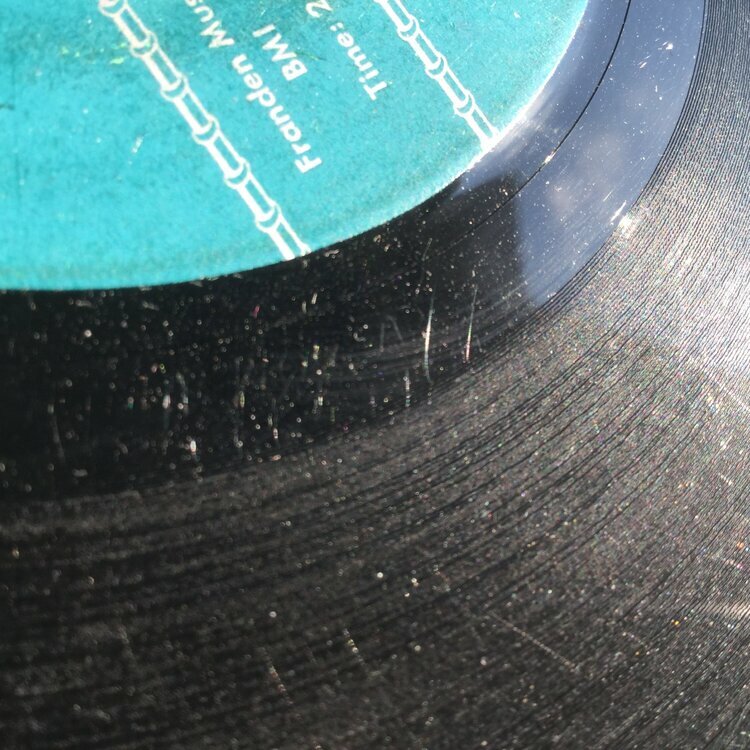 But of course the vinyl is brand shining new. No talc or carpet burn "weathering" on the boot I've seen. 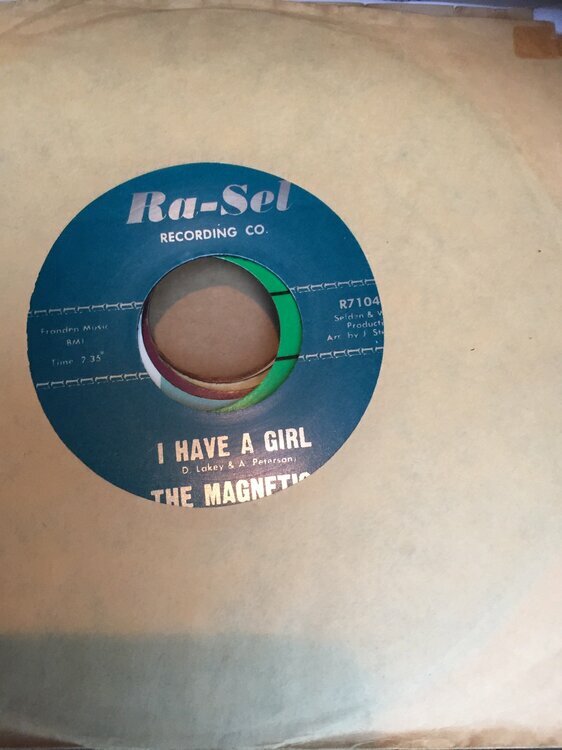 Any truth in the rumour that John Anderson has a pile of unreleased Magnetics acetates? could be a quick way of spotting the boot. I only saw it in semi subdued light of a pub gig, and no one had an original to compare it with. But it was so obviously a bootleg. This, Greater Experience, and John wesley on Melic, which has been booted on brand spanking new vinyl and had exactly the same fudged lettering on the side, not nice and sharp at all. Someone is being very cute here feeding boots out to unsuspecting buyers. Is this a recent bootleg? And does anyone have more info about the General Assembly pressing that Steve mentions? Hi Benji, yes there is a thread running on FB about Greater Experience in one of the rare soul pages. Last 12 months or so. ok, thanks. Pity I'm not on FB. Can someone who's in the Rare Soul group on FB share the info? Well done Guys for exposing yet another despicable scam. The members of soul source and beyond are so lucky to have such diligent observers/collectors, keeping an eye out for such deceptive counterfeits. Must say that I so far havent seen a Magnetics/Ra-Sel boot on the net or in flesh, can someone post a scan ? Same here Ted, just asked to give an opinion as to it's authenticity. Didn't take a picture of the one I saw either, but maybe one of the buyers will see this and post a scan up. If they're not demanding their money back of course. blimey ..never seen a boot on ra-sel ,and never even heard of one before it was mentioned by ted. its getting very very difficult to keep on top of this now .really feel for the guys who have been done with this deliberate bad situation. Sorry I know this isn't any of my business but who has been done here? Nobody has been sold a counterfeit Magnetics as an original. In fact I don't think these have even circulated but for about 3 or 4 copies. That's all. So its been bootlegged (we know that) and only about 3 or 4 thus far have gone out is that what you are saying Pete? The definitions of what constitutes a bootleg are a bit blurred, yes it is probably a very clever counterfeit, but no copies are for sale anywhere, the copy above was given away, therefore nobody is being ripped off. If they were carvers nobody would blink, from what I can deduce they are a vanity project with a miniscule amount of copies made - I've got one and I'm highly delighted with it - it's the Rolls Royce of pressings. I paid sod all for it and don't consider myself to have been ripped off. It won't be on a public record deck so it's not hurting anyone. You investigative chaps need to focus your attentions abroad and into the murky depths of the past. Seek and you may find answers. Look to the East perhaps? p.s. at no time have I attempted to sell it as an original! Or even felt the need to tell anyone I've got it. There are quite a few of these "vanity projects" going on with small quantity pressings, with people with copies all "sworn to secrecy" as to the source. The soul freemasonry brotherhood of vinyl copyists? Perhaps if the source of these so called "vanity projects" was good enough to list ALL of the titles they have done / commissioned, then at least no one would be taken in, and we wouldn't have these threads. That would solve it and no one would care. People pop up on here, or on FB rare soul talk asking what they are worth. Had a chap with a General Assembly boot on there the other day going "whats this worth?" and people salivating saying $700 etc. when it is clearly a brand new boot (there is NO grey area here, nor are they like carvers). 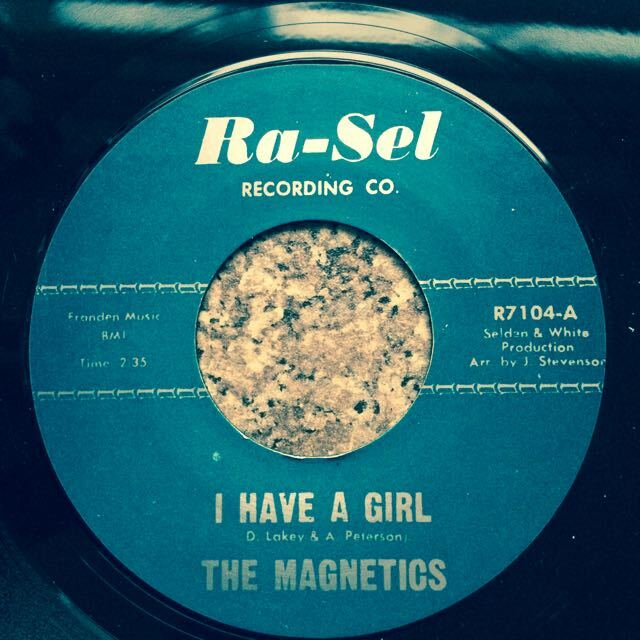 Had someone else ask me about Magnetics and John Wesley. I suspect at least one copy of Gen Assembly has leaked into the collectors market via re-sales. I don't see the point - but then again I very rarely do. Steve first of all, I am not in any freemasonry brotherhood, do you think they would have ME? I can't keep my mouth shut about anything. If I knew the details I'd post them up. I only know about this one because I was lucky enough to be given one, and as I say, I thought yes thats nice, thats mine, I'll keep it. Never mentioned it to anyone. Now I can tell you for certain there is no counterfeit of General Assembly. You are thinking of the wrong record. I know which one you are thinking of so I'll wait for you to remember. John Wesley - no idea. 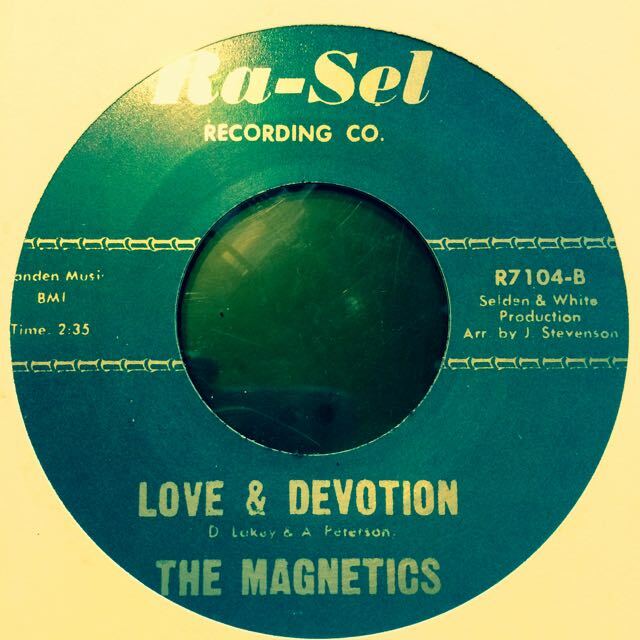 I have only seen this one record, The Magnetics. I have one copy, my own. I think I have an idea where they came from but I can't go out and say it in case I am wrong and I'll get in trouble but they are 100% "imports". Sorry I forgot to remember that it's the Greater Experience. Where did General Assembly come from? Ha! Far superior record. Well, at least to my sensitive ears. Is that a pic of the boot ?? General Assembly gets plenty of plays on several scenes and saw an issue sold here for uk350 in July so hardly a forgotten oldie, let alone 30 years. Would still be a bizarre choice to boot but maybe that wasn't the one based on later comments. The boot looks like this for that one ! Sounds like you're quite proud of them? Not really just sharing so people don't get shafted really ! I'll take some pics but there isn't a lot on there to see ! As far as the Magnetics is concerned the boot is easy to tell once you' ve seen an original. Text print is blurred on every line, label appears to be darker than the original, thing just looks cheap and badly photo copied. Still I am sure one or two poor newcomers with money to burn will get burned soon if and when one comes on the market. 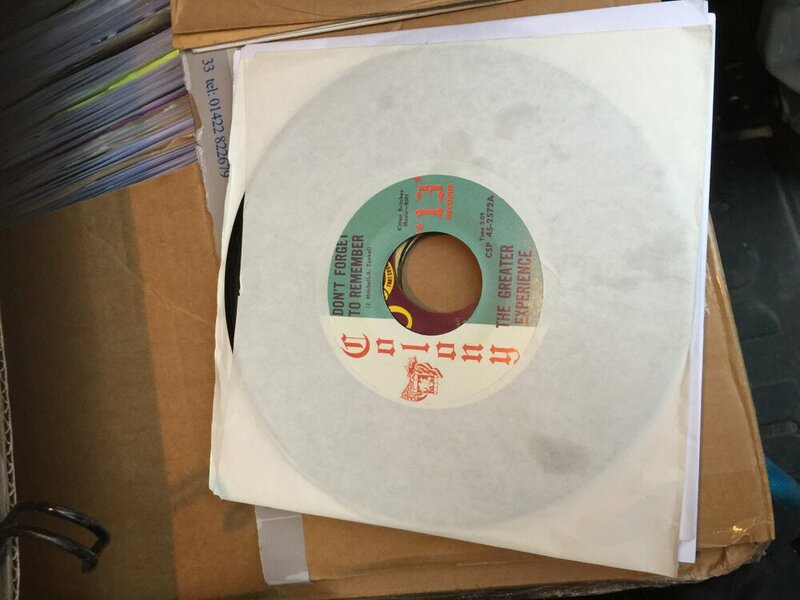 I know its been said its kinda "vanity project" but sure records do change hands sooner or later..
You mean like these newcomers who are KNOWINGLY paying £100 for a Jimmy Mack with stuck on photocopy labels? Ted going by the centre you appear to have the same kitchen worktop as I do, how about that! Funnily enough, I have the same too!